2009 opens with HP raising the bar with their Mini 2140 netbook. Although this new netbook is not entirely new, it is an upgrade of the 2133 Mini-note. This is certainly good news as it has retained just about everything people liked about the 2133: the sensationally clean design, flawlessly brushed metal finish, ExpressCard slot, nearly full-size keyboard, and 7200rpm hard drive that comes with accelerometer-based drop protection. So what distinguishes the Mini 2140 from the 2133? For one, HP has dumped the underpowered VIA processor in favor of Intel’s Atom N270, the same 1.6GHz powerplant found in nearly all netbooks out there. It is tried and tested to carry out every task you would expect from such machine. It also features a larger screen size (10.1 inches), with resolution updated to an ultrasharp 1366 x 768 – although there is an optional 1024 x 567 panel. What is more, the Mini 2149 netbook comes with both 3 cell and 6 cell batteries, which should be superb for a respective 3 and 6 hours on the trot. It weighs 1.2kg when fitted with the SSD and 3 cell battery, making it around the same weight as the smaller Mini 1000. 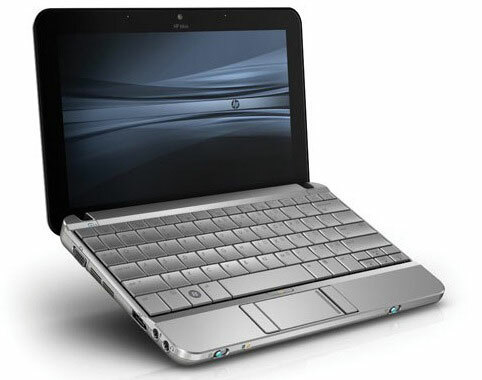 The HP Mini 2140 netbook is tipped to cost $899 for the model with 1GB of RAM and Windows XP. No words about its release date.